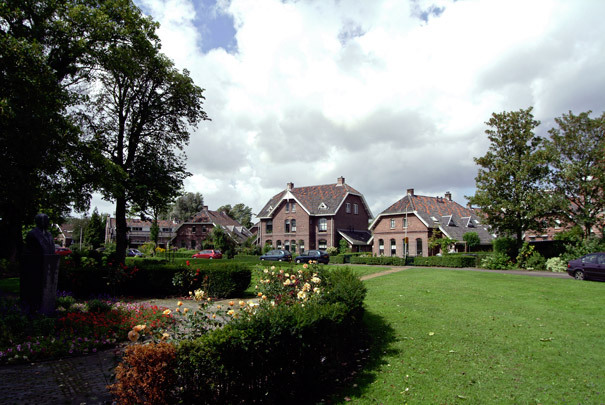 Agnetapark, a housing estate for workers at the nearby yeast factory, was built by its idealist director J.C. van Marken. The park design done by Zocher took its inspiration from English landscape parks. Seventy-eight dwellings designed by Kerkhoff were managed by a community part-governed by the workers themselves. Van Marken also had a villa built here for himself. In 1925 and 1928 the park was extended to a design by Gratama with 112 and 44 dwellings respectively. The estate was restored in 1994.